Creating a Challenging and Supportive Learning Community. 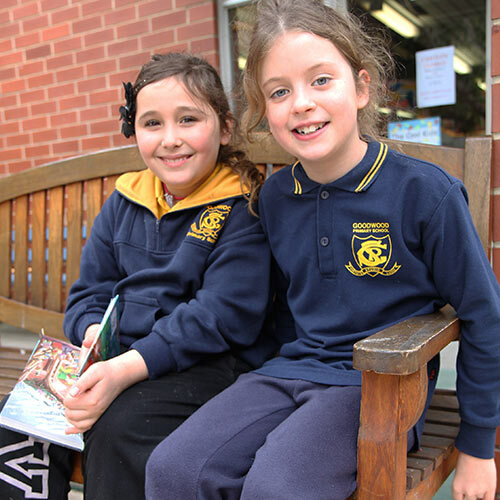 Goodwood Primary School prides itself on offering a diverse and inclusive learning program where students have many opportunities to achieve their personal best. We focus on personalised learning approaches from Preschool through to Year 7, connecting with our environment and embracing innovative learning tools to support success. In our school we are committed to establishing effective relationships and believe it is essential to have authentic connections between all members of a learning community to ensure students can reach their full potential. Our population reflects a wide range of cultural and linguistic backgrounds. The whole school learning community is committed to valuing and respecting others, and promoting multiculturalism and global education.